This dress is made from the highest quality tulle in a rainbow of blues and glitter with a white bodice. 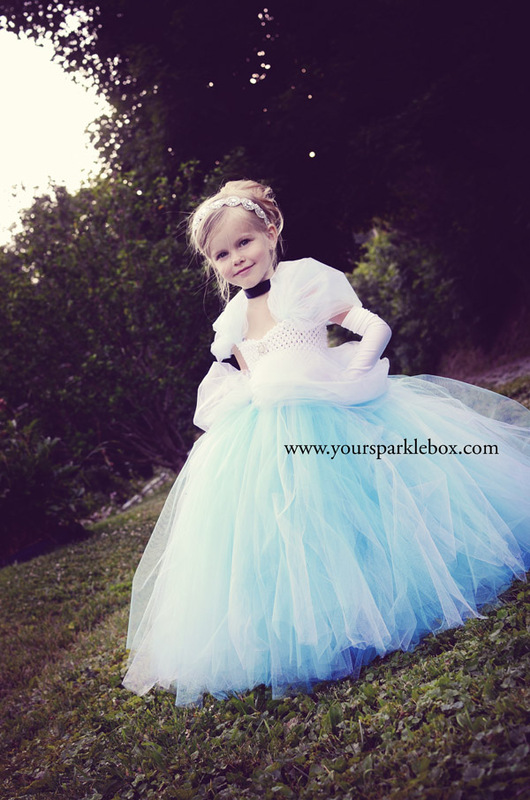 A gorgeous rhinestone button gives this costume a touch of glamour for your little Cinderella! This is for the dress only, accessories are not included. Every dress is handmade, by me, in my pet free, smoke free home studio. As each is handmade, each on is unique.